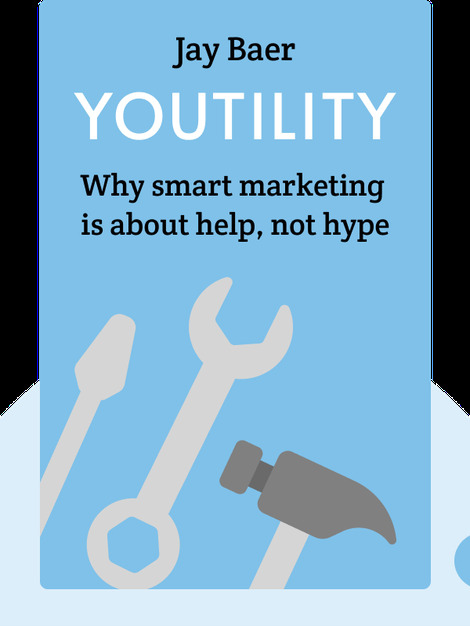 Youtility (2013) goes against the grain of accepted marketing methods by declaring that information, not promotion, is the way to win customers. Counterintuitive and refreshing methods are presented, repositioning the relationship between businesses and consumers. The book outlines examples from a wide spectrum of companies, big and small, driving home the message that by helping people and being useful instead of chasing sales, companies can prosper in the long-term. 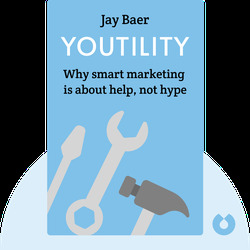 Jay Baer is a digital marketing consultant, blogger, podcaster, speaker and founder of five companies. He has consulted for 29 companies in the Fortune 500 and his Convince & Convert blog is ranked world's number one by the Content Marketing Institute. His extensive experience with web companies led him to co-write books that help companies stand out from competitors through social media intelligence and responsiveness.